Neither Israel nor Hezbollah may want to return to war, but the risk of conflict is real—especially in Syria. The Trump administration can take action to prevent unintended escalation. A July 2010 Center for Preventive Action Contingency Planning Memorandum, “A Third Lebanon War,” described two plausible scenarios for renewed fighting between Israel and Hezbollah: Hezbollah could take the offensive as a way of burnishing its credentials and unifying ranks, or Israel could lure Hezbollah into a war preemptively to weaken Hezbollah’s growing military capabilities. Although Israel suffered substantial losses in the 2006 war, it inflicted a serious setback to Hezbollah and achieved a significant level of deterrence in the process. While this deterrence appears to be holding, and while neither side [PDF] is itching to repeat the war, the risk of renewed conflict remains real. The war launched by Hezbollah in 2006 proved tremendously costly to the Shiite Muslim group, resulting in significant Lebanese civilian casualties and damage to Lebanon’s national infrastructure. This crushing defeat has deterred Hezbollah from launching significant raids into Israel for the past eleven years. Israel continues to deploy the latest technology including new radar capabilities on its border with Lebanon, along with enhanced fortifications and roads. The Israeli Defense Forces (IDF) are now well trained and equipped for operations inside Lebanon. Hezbollah has reportedly acquired mobile air defense capabilities, which could hinder the effectiveness of Israeli air operations. Military involvement in Syria has improved Hezbollah’s capabilities in logistics, command and control, and manpower, with a reported 21,000 experienced fighters. Iran has reportedly replenished Hezbollah’s arsenal with longer-range and more accurate rocketry—120,000 short-, medium-, and long-range rockets—that would allow Hezbollah to fire 1,500 rockets a day into Israel; rockets with a range of 400 kilometers that could reach Eilat; and drones, anti-tank missiles, surface-to-sea missiles, and air defenses that were not available to the organization in 2006. Israel has successfully deployed the Iron Dome anti-rocket system against short-range rockets and is in the process of deploying David’s Sling against medium- and long-range rockets. Israel will soon have a multifaceted system to counter threats from rockets and missiles. Hezbollah is trying to establish a “second front” against Israel opposite the Golan Heights. Israel has demonstrated that it will not tolerate Iran continuing to supply arms to Hezbollah through Syria, and it would surely act forcefully in response to any Hezbollah actions in the Golan Heights. As such, continued deterrence is tightly connected to the regional situation and the strategic calculations of the actors involved. Iran has an overriding interest in preserving Syria’s Bashar al-Assad. It also seeks to maintain pressure on Israel as part of its overarching opposition to Israel’s existence. 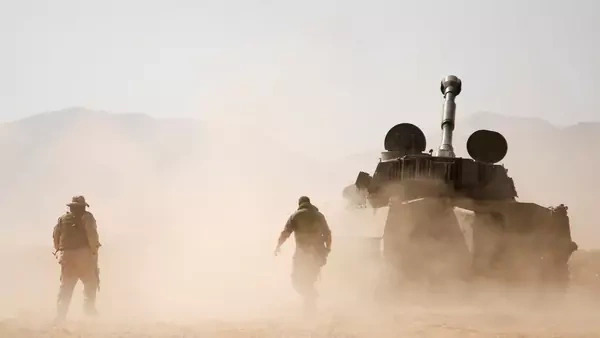 Should Iran suffer setbacks in Syria, it could push Hezbollah forces from Lebanon to attack Israel as a means of relieving pressure on Iran’s Islamic Revolutionary Guard Corps (IRGC) and Hezbollah’s forces in Syria. Iran could also press Hezbollah in Lebanon and Syria to attack Israel in response to U.S. actions against Iran in Yemen or elsewhere. Israel is concerned about the possibility of Iran emerging stronger from the Syria war, which could inspire an attack against Iran’s proxy, Hezbollah. While Hezbollah’s decision to fight in Syria has had a mixed impact on its standing among the Lebanese population, a war with Israel could serve to burnish Hezbollah’s credentials as the leading Arab party ready to confront Israel. Such a decision by Hezbollah would, on the other hand, be tempered by the devastation that would be inflicted on Lebanon once again. A war with Israel could serve to burnish Hezbollah’s credentials as the leading Arab party ready to confront Israel. Hezbollah and IRGC begin to dig in between Damascus and the Golan Heights to enhance Iran’s position in Syria, preserve Assad’s power, and fight remaining anti-Assad rebels in the area. In response, Israel undertakes a sustained effort from the air to dislodge Hezbollah and the IRGC. Hezbollah then launches rockets from Lebanon into Israel to reduce the pressure on its forces in Syria. While neither side wants a full-scale war, an escalatory spiral ensues. Hezbollah reacts to an Israeli interception of arms deliveries by launching rockets at Israel, prompting a disproportionate Israeli response. With backing from the United States, Israel escalates. 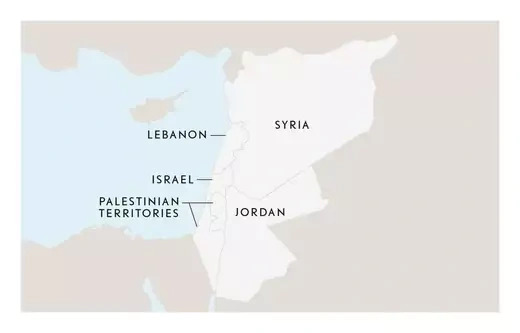 Iran pushes Hezbollah to attack Israel from Lebanon or Syria as a proxy response to U.S. pressure on Iran and to complicate burgeoning relations between Israel, Saudi Arabia, and most of the Gulf Cooperation Council states. The attitude of the Donald J. Trump administration is uncertain, although the administration’s animus toward Iran and its aggressive activities in the region could lead the United States to encourage Israel to try again to degrade, if not defeat, Hezbollah. If the Trump administration intends to work with Russia on a policy toward the Syrian civil war and to advance the Israeli-Palestinian peace process, it would be more likely to oppose a renewal of Israel-Hezbollah hostilities. The United States could take a number of actions to minimize the possibility of miscalculation and unintended escalation from developing into war. Consistent with longstanding U.S. policy, the United States should continue to warn Hezbollah against firing rockets or taking any other aggressive actions against Israel, whether from Lebanese territory or from Syria. The United States should consult regularly with allies and other UN Security Council members to try to ensure that Hezbollah hears a consistent message in this regard. Israel will continue to interdict Iranian arms supplies to Hezbollah. The United States should tell Israel that it will not oppose such actions as long as they are restricted to situations that directly threaten Israeli security and do not expand Israel’s military footprint in Syria. The United States should work with Russia, preferably through the existing de-confliction channel, with the aim of persuading Moscow that it is in Russia’s interest to restrain Iran and Hezbollah’s provocative actions that could lead, intentionally or unintentionally, to escalation with Israel. The United States should strengthen the existing Joint Political Military Group and other senior U.S.-Israel strategic dialogues. These dialogues should focus on possible scenarios of miscalculation and unintended escalation in order to develop options for possible joint or unilateral action. The United States should build opposition to the possibility that the IRGC might increase troops and improve the quality and quantity of weapons in southern Lebanon by working through the UN Security Council or in bilateral discussions with Russia and others. In the context of resolving the Syrian conflict, the United States should seek the withdrawal of Hezbollah from Syria as part of a political transition in Syria. In view of its losses and the demands of its popular base inside Lebanon, Hezbollah will want to withdraw as soon as possible. Consensus may be achievable on this issue with the Russians, if not with the Iranians. However unlikely it is that Hezbollah would agree, the United States should consider a discreet security channel with Hezbollah, either directly or through an intermediary, to deal with the possibility of renewed conflict. In the unlikely event of U.S. military action against Iran, the United States would probably seek Israel’s assistance, especially in intelligence sharing but also militarily, through Israeli strikes against IRGC and Hezbollah positions in Syria. Under these circumstances, the diplomatic actions suggested above would cease, as the United States turns from diplomacy to war. The Council on Foreign Relations acknowledges the Rockefeller Brothers Fund for its generous support of the Contingency Planning Roundtables and Memoranda.